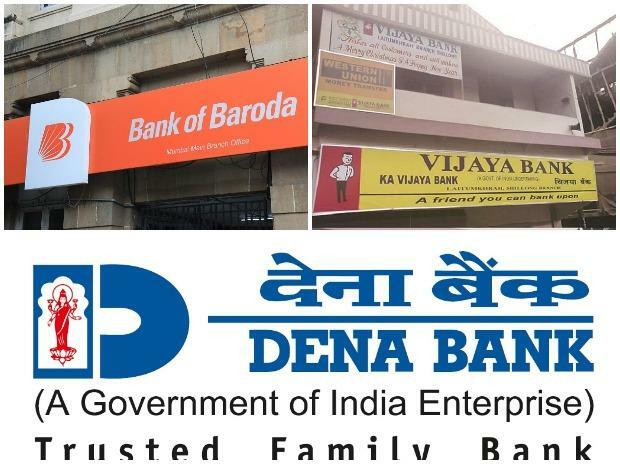 The scheme of amalgamation spelling out the contours of the merger of Bank of Baroda (BoB), Vijaya Bank and Dena Bank is expected to be finalised by the end of this month, sources said. As per the requirement, the scheme of amalgamation will be placed before Parliament, which is in session till January 8. The scheme is being worked out and will subsequently get vetted by respective boards of the three banks. It will have details of share swap ratio and requirement of capital from the promoter, sources said. The government has already committed funds for facilitating the first three-way merger in the public sector banking space. The government expects that the new entity will be operational from the beginning of the next financial year, the sources added. Earlier in September, the 'Alternative Mechanism' (AM) headed by Finance Minister Arun Jaitley decided to merge the three banks with a view to creating a global-sized lender which will be stronger and sustainable. The finance minister assured capital support to the merged entity. Other members of the AM included Railways Minister Piyush Goyal and Defence Minister Nirmala Sitharaman. The merged entity will have a combined business of Rs 14.82 lakh crore, making it the third largest bank after SBI and ICICI Bank. It will have better financial strength. The net NPA ratio will be at 5.71 per cent, significantly better than the public sector bank (PSB) average of 12.13 per cent. Besides, Provision Coverage Ratio (PCR) would be better at 67.5 per cent against the average of 63.7 per cent and cost to income ratio would come down to 48.94 per cent as compared to average 53.92 per cent. Capital Adequacy Ratio (CAR) at 12.25 per cent will be significantly above the regulatory norm of 10.87 per cent, and the stronger amalgamated bank will be better positioned to tap the capital markets.